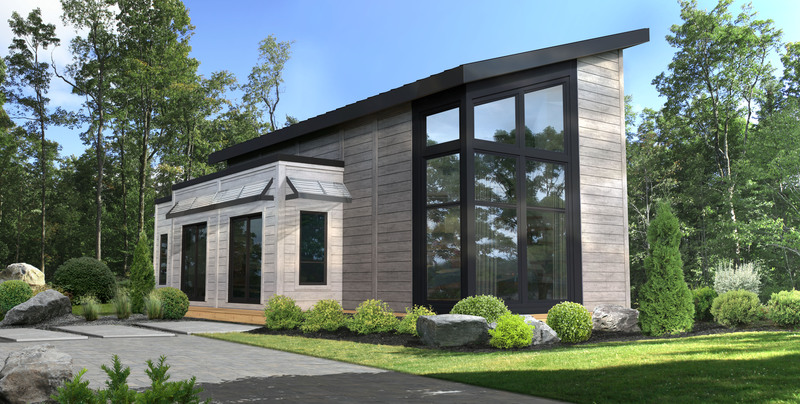 From our "Tiny" Vista model, which starts at just 553 square feet, to our expansive 3843 square foot Panorama, plus several in between, our Contemporary Series is full of charming, unique and pleasing architectural designs. For our homeowners who build contemporary, our designers have been praised time and time again for this award-winning collection. This is one of our newest additions to the series, which was created due to the ever-growing popularity of the "Tiny House Movement." 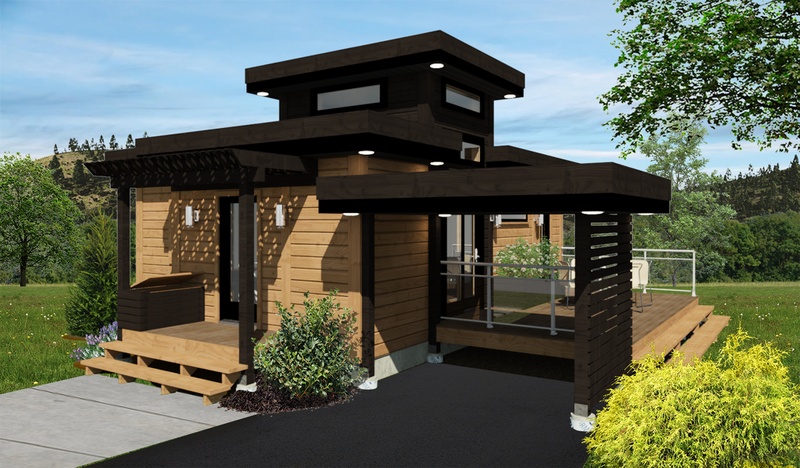 Our team worked long and hard to develop a home that "fit" in the Tiny Home category, but ensured all necessities were met, and living could be comfortable. Get the Vista Floor Plan here. Released in 2016, the Sanford was certainly celebrated thanks to its sleek and eccentric exterior design. 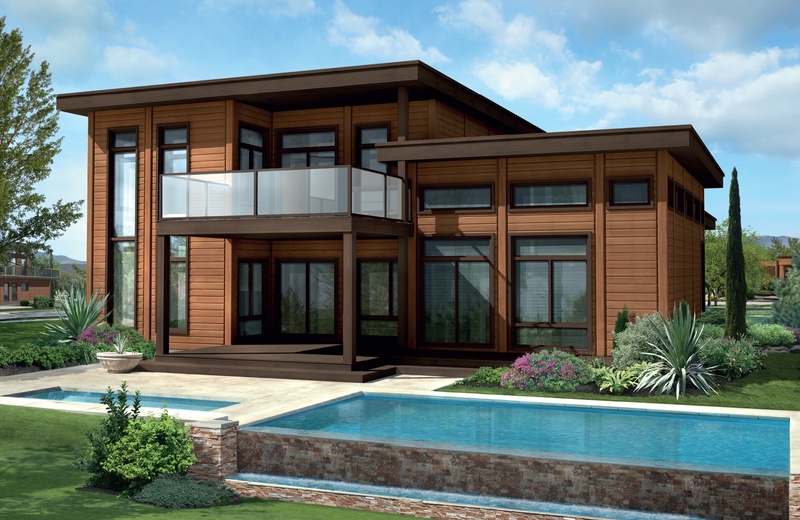 Like most Contempory designs, the Sanford boasts floor to ceiling windows and focuses on truly bringing the outside in. Download the complete Sanford Model home here. With 3 bedrooms, 3 baths, a double car garage, and the classic contemporary features, the Sierra Vista is one of our most popular models in this series. The floor plan is a must-see. See the Sierra Vista model here. At 3843 square feet, the Panorama is nothing short of luxurious. 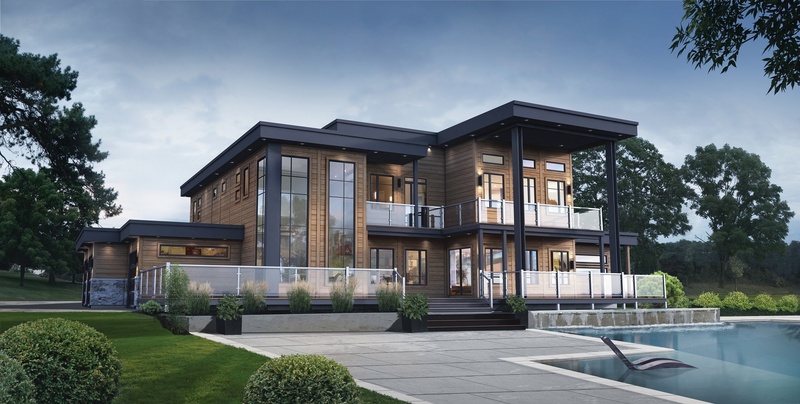 The stunning architecture shows off everything that is beautiful about a contemporary, modern design. View the Panorama floor plan here. To see our entire collection, head to the Contemporary Series tab on our site, or scroll below for information on how you can download all of our plans. Want more information about any of these homes? Want to see one in person? 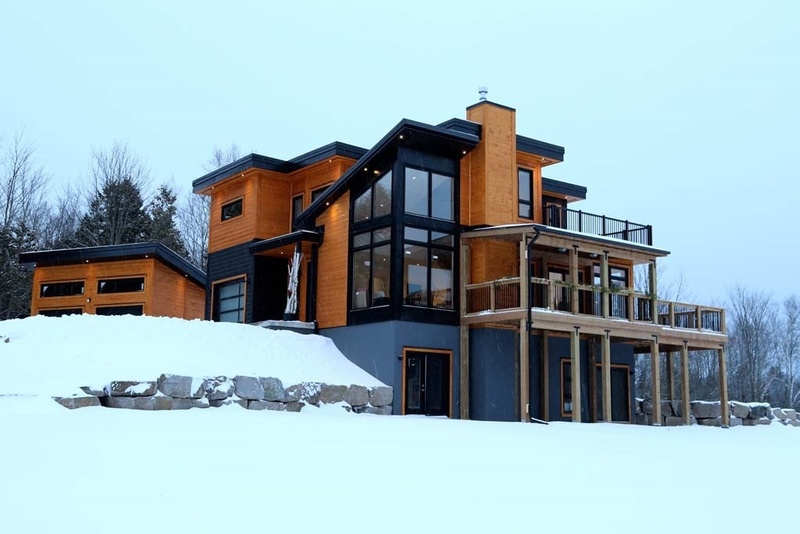 We invite you to contact us directly, or visit a Timber Block model home near you. To have every single one of our floor plans in hand, we're excited to tell you....Timber Block's 2017 edition of our Floor Plan book is out now! Download the book, or order a hard copy today.